Adam has again been provided with the opportunity to race with Howard Racing in the 2006 Fujitsu V8 Supercar Series and is determined that this will be his year to take out the Championship. A superb start to the Championship at the Clipsal 500 in Adelaide saw Adam taking out wins in both races, giving him the number 1 spot on the podium for Round 1. This was after an unfortunate and unavoidable accident in Thursday practice at the infamous Turn 8. Adam has also accepted an offer from Britek Motorsport to compete in the endurance races at the Sandown 500 and Bathurst 1000 alongside regular Britek driver, Warren Luff. This year has also seen a new addition enter Adam’s household, with the arrival of Hudson, a chocolate brown labrador puppy who is keeping his “parents” more than entertained and on their toes! Adam was offered a drive in the V8 Supercar Development Series this year with Gold Coast based team Howard Racing as well as a Team Betta Electrical/Triple Eight Racing endurance drive at Sandown & Bathurst, co-driving with Steve Ellery. In order to focus 100% on both of these opportunites, Adam relocated from Melbourne to the sunny skies and blue waters of the Gold Coast early in 2005 with his long time girlfriend. Adam worked at the Howard Racing workshop alongside the pit crew team for the duration of the year, as well as doing various promotional activities for both Howard Racing and Team Betta Electrical. A successful year which saw Adam take 2 Round wins in the Development Series, finishing fourth overall, as well as a 5th place finish at the Sandown 500 and a long-awaited 3rd place podium finish at Bathurst. Still working for AXT Turbo, racing his Improved Production car and was signed up by FPR early in the year as one of their endurance drivers for the second year running. Swiss Alain Menu was Adam’s co-driver at the Sandown 500 and Bathurst 1000. Adam completed some impressively quick times at both circuits. At Sandown, engine dramas forced Adam and Alain to start the race from the pit lane and they finished the race in the Top 20. However luck was again not on his side at the Mountain in 2005. Adam charged through the field from the back of the grid to put their car in the Top 10 prior to the first driver change, but the car was retired not long after Menu took over the driving duties and was involved in an alteraction with another car. Adam has been working as a Shock Engineer for AXT Turbo in Dandenong and is currently on the lookout for new driving opportunities to take his career to the next level. Following on from last year, Adam has continued to race his improved production car as well as the Cobra Daytona in the VMRC. Adam was given the opportunity by Briggs Motorsport in July to test drive their V8 Supercar at Queensland Raceway. Adam made a special guest appearance at Oran Park in August racing a Spectrum 09 Formula Ford in the Australian Formula Ford Championship. Despite not having driven one for 5 years, Adam drove extremely well finishing 3rd overall. Adam also tested for Ford Performance Racing at Phillip Island in August in a V8 Supercar and after a successful test he has been contracted by FPR for the endurance races at Sandown 500 and Bathurst 1000 driving with Darren Hossack. In July 2002, Adam tested for the Lansvale V8 Supercar team at Oran Park and was the fastest and most consistent on the day achieving the same time, five laps simultaneously. A lack of funds prevented pursuing the opportunity any further. He has been involved in the Victorian State Race series driving a Cobra Daytona for Richard Bendall and also driving an improved production car which he built for himself. Adam was contracted by the Castrol Perkins V8 Supercar team to co-drive for the Queensland 500 and the Bathurst 1000. Car failure at Queensland Raceway prevented a Top 10 finish and co-driver error in bad weather unfortunately ended any chance of finishing the great race at Mount Panorama. Adam was employed full time with John Faulkner Racing as a crew member and driver. He also completed various other duties for the team including all promotional and media activities, working very closely with the team’s new sponsor Asia Online. 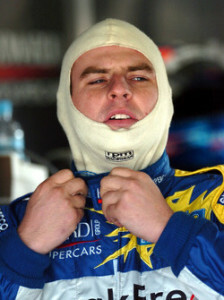 Adam was co-driver with John Faulkner for Queensland 500 and Bathurst 1000. Finished 12th at Queensland 500. Adam competed in the Australian Drivers Championship in a Formula Holden and in the Queensland 500 and Bathurst 1000 V8 Supercar endurance events. 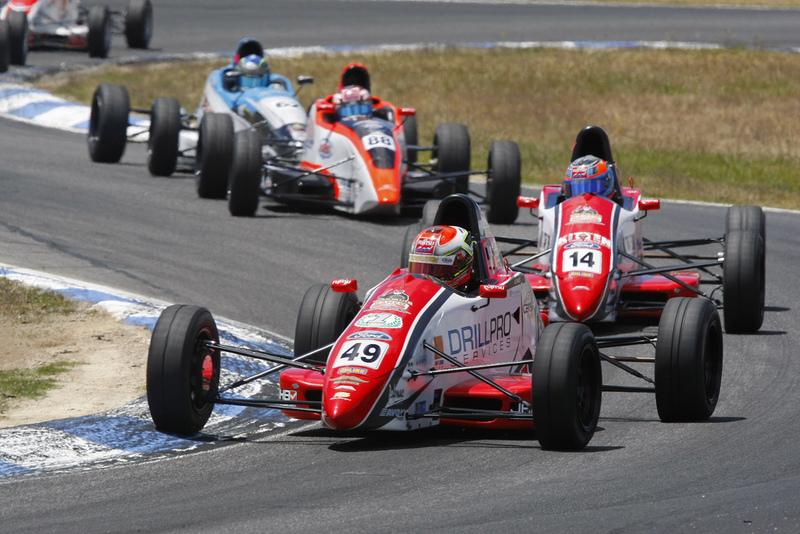 A lack of funding saw Adam withdraw from the Australian Drivers Championship while 2nd in the championship. 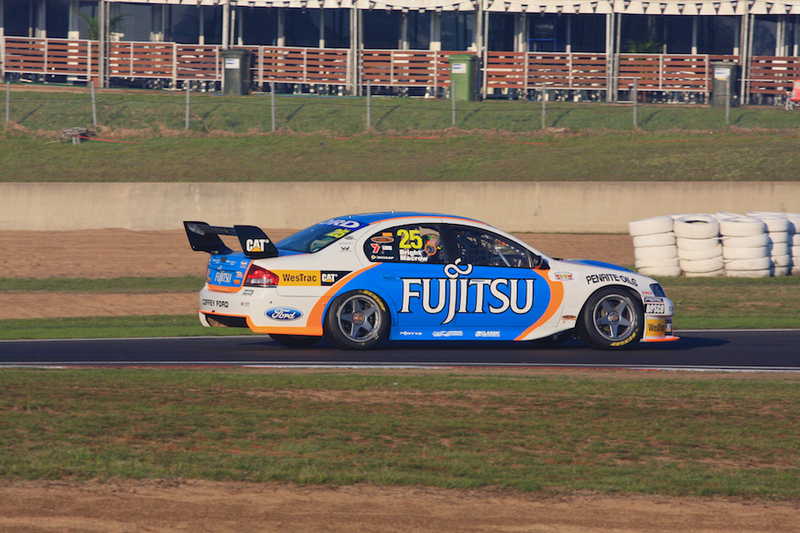 Co-driving with Tony Longhurst in the Castrol Falcon V8 Supercar was a fantastic experience for Adam. The pair unfortunately had to retire from the Queensland 500 with mechanical failure while running 3rd, they then suffered a similar fate in the grueling Bathurst 1000 while running 6th. This third year in Formula Ford produced excellent results. Winner Australian Formula Ford Championship 5 consecutive pole positions The prize for winning the Australian Formula Ford Championship was a co-drive with former world F1 Champion Alan Jones in the V8 Supercar endurance events that are the Sandown 500 and the Bathurst 1000. The decision was taken to move up into Formula V open wheel race cars with good results.